Uig is a remote region of Lewis, lying some 20-odd miles west of Stornoway on the island's rugged Atlantic coast. 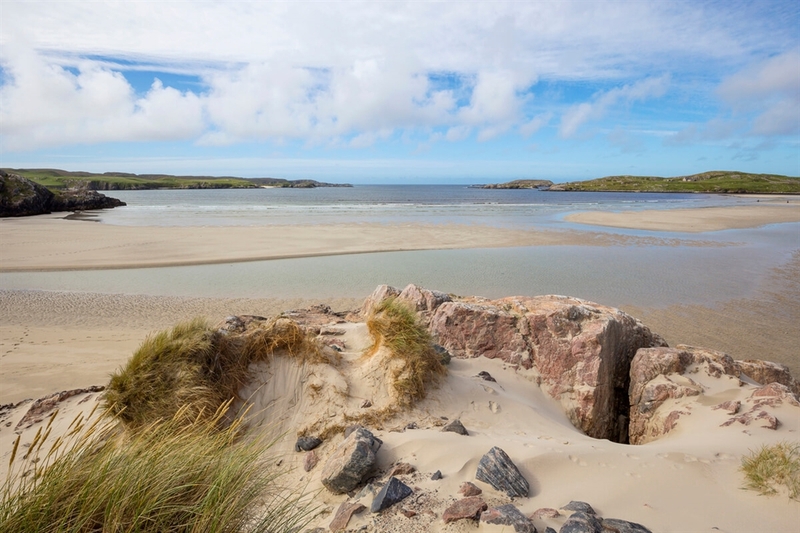 The landscape here is hillier, and more dramatic than elsewhere on Lewis, with its combination of myriad islets, wild cliff scenery and patches of pristine golden sand. The area extends from Brenish in the west to Lochganvich in the east. Uig beach is famous for being the site where the Lewis Chessmen, 12th century Viking chess pieces, were found (they are now in Edinburgh's National Museum of Scotland and the British Museum in London). 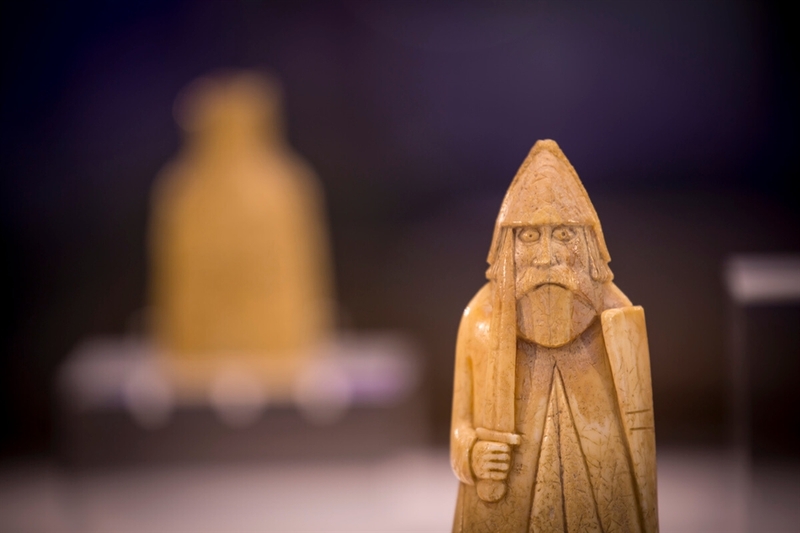 You can see replicas in the Uig Heritage Centre in Timsgearraidh. A small variety of eating establishments are found in Uig, including Loch Croistean Coffee Shop which is open for lunches and evening meals. The community shop is well stocked and features a Post Office and petrol pumps. VisitScotland / Paul Tomkins, all rights reserved. LOOKING DOWN TO THE BAILE NA CILLE GRAVEYARD AT TIMSGARRY, WITH A VIEW TO UIG SANDS AND MOUNTAINS BEYOND, THE ISLE OF LEWIS, OUTER HEBRIDES. VisitScotland / Paul Tomkins, all rights reserved. LOOKING DOWN TO THE BAILE NA CILLE GRAVEYARD AT TIMSGARRY, WITH A VIEW TO UIG SANDS AND MOUNTAINS BEYOND, THE ISLE OF LEWIS, OUTER HEBRIDES. VisitScotland / Kenny Lam, all rights reserved Rough grass in the foreground on the edge of a pinkish sandly beach, with clear blue water beyond VisitScotland / Kenny Lam, all rights reserved A close-up of one of the Lewis chessmen, a worried-looking knight with a pointed helmet, beard sword and shield.